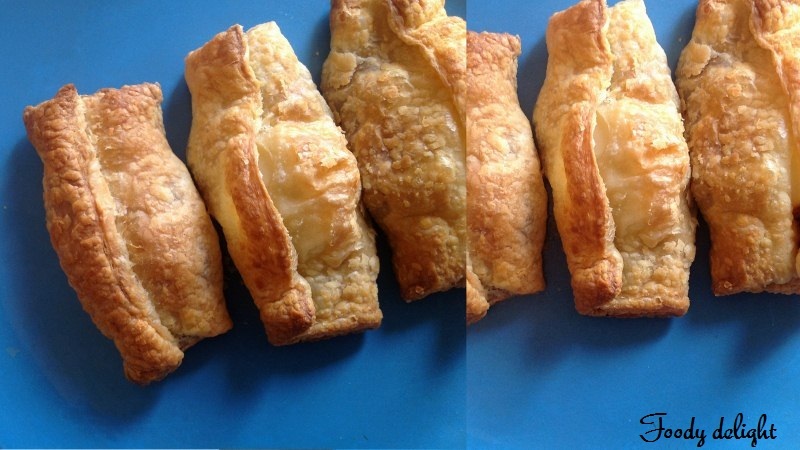 Egg puffs is one of the all time favorites for the college students and kids. This quick and easy egg puffs. 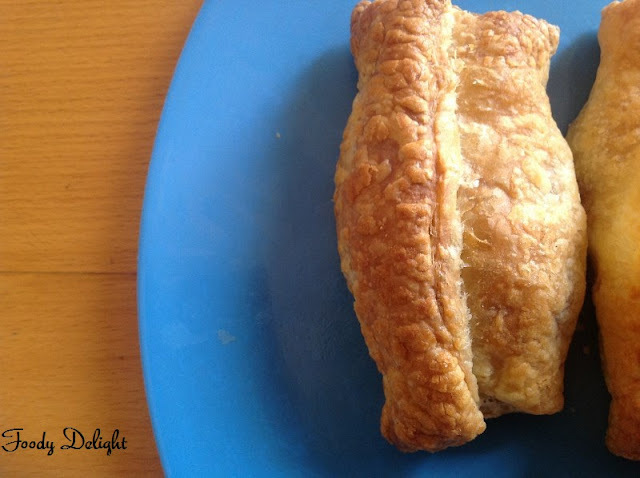 recipe creates a delicious delight for any occasion.When eaten hot it’s got a nice crispy flaky texture, the outer casing of the puff pastry and the softness of the boiled egg stuffed inside. Thaw the pastry sheets to room temperature. Boil the eggs, peel off the shells. Cut the them into halves. Keep it aside. Place the pan on medium flame and add oil into it. When oil heats up, add cumin seeds. Let it splutter for 30 seconds. Add ginger paste and garlic paste. Fry till raw smell goes off. Then add sliced onion and fry till they are transparent. Add all dry masala powder and salt. Fry till raw smell goes off. Allow the onion masala to cool. Meanwhile take the pastry sheets and cut into 6 square pieces. Just roll out each pastry pieces by dusting with plain flour. Else you can skip this step. Take one piece of pastry sheet,keep the masala and on that place the egg. Fold it however you like. Repeat the step for remaining puffs. Place all the puffs in the baking tray. Place the baking tray in the oven and bake all the puffs for about 20 minutes or till they become golden brown. Serve the egg puffs with tomato ketchup. 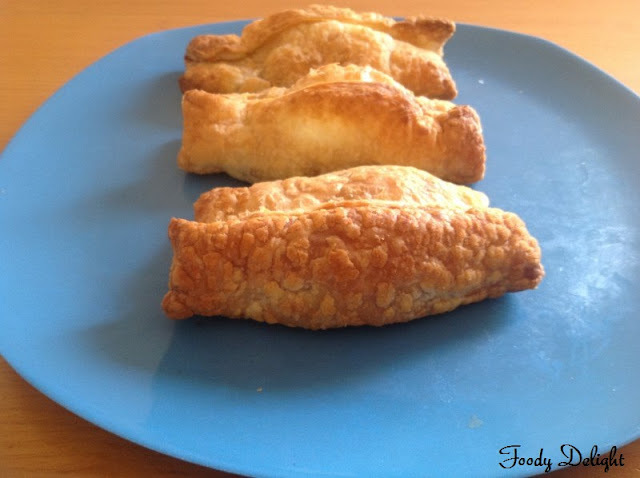 wow... egg puffs look perfect... my favourite as well..
Oh my gosh, I love this recipe! I will be trying it. These look delicious - I have never tried anything like this, but I want to try it soon. Thanks for stopping by my blog and taking the time to leave a nice comment - hope you'll visit again. That looks soo cute! Remind me of my college days!